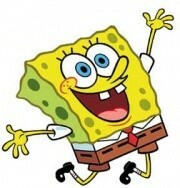 He is an animated American television show created by a marine biologist and animator named Stephen Hillenburg. The show is broadcasted on the Nickelodeon channel. What is the Country of origin and the language? How many Seasons and shows are there? There are 9 seasons in the entire series. There is also a total of 196 episodes in the series. How many actors are there that voice characters? There is a total of 6 actors that voice the main six characters. These characters are Mr. Krabs, Patrick, Squidward, Sandy Cheeks, Plankton and of course Spongebob. The main character is Spongebob squarepants. This is the title for the show.